RAJESH, 07 Sep 2014i would like to buy this mobile immediately, but when it will be available, i do not know, cou... moreI have 1 unit. Gt interest buy ? Which one is the better phone from zenphone 5 and sony xperia sp??? AnonD-303255, 06 Sep 2014hi there, i've seen zenfone 5 and i'm very disappointed regarding its brightness levels and th... moreWhich Moto G did you compare with? The original one or the one that's not out yet? 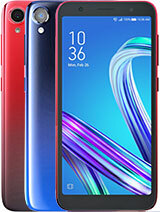 The one coming out this month is pretty much a copy of Zenfone, with identical battery capacity and screen size but brighter screen, which you would imagine burns more power. So I am pretty confident that the battery complaints will dominate the forums about the new Moto. 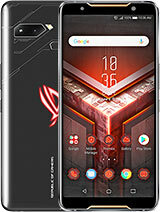 Obviously the old one could easily power 1/4 of Zen's resolution (and with that 4x weaker GPU), weaker CPU, and smaller screen. Manoj, 06 Sep 2014No doubt Asus Zenfone5 is amazing phone. I got this on 15th July14 and i loaded double extra a... moreUnfortunately ZenFone does not support 3G video calling from the operator. Astri NK, 06 Sep 2014This phone is great, almost a week usage and yes the battery is not that good but it last a da... moreRooted phones do not receive OTA updates. 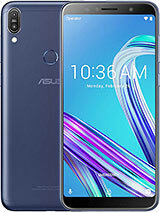 Download the latest 1.18 firmware from Asus or my site, unzip it and place file into the root folder of internal phone space. Then get the update installed. This will return the phone to "official" state and allow you to receive future OTA updates. However note that the warranty state might still go from 1 to 0, which happens when you do rooting. I am not sure official firmware will reset that back. You can see it at the top of the screen when booting phone into restore mode. Plz help me.. Hw to update firmware after downloading it from asus server? I hv downloaded 1.17 versn.. Waitng 4r ur rply tomazz.. Anonymous, 06 Sep 2014Hello all, I am facing problem with mobile data, as I am not able to use internet through mobi... moreMaybe your phone does not have APN settings set. Contact your telecom for the settings, or ask in here with the name of the operator you are using, so perhaps someone else is using the same and can help you with it. Alternatively, check your previous phone for internet settings. 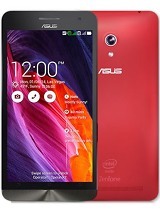 AnonD-303217, 06 Sep 2014i was purchase asus zenfone 5 in last week. when the many application running then face the la... moreWhen you have problems with the phone when you buy it, you should contact seller immediately to get it replaced or refunded. 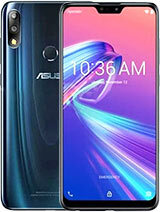 If it is over the return period, contact Asus service centre for guidance, which will depend on whether phone has local warranty or not. So if you put these 3 together, the phone will be warmer. This means that it is not a good idea to put it under the pillow or sleep on it, as it could overheat. Therefore if you are using it, make sure you don't fall asleep with it in hand or on bed. Another sidenote - phone charges slower when turned on, and when in use. AnonD-292829, 07 Sep 2014Gentelmen, I have a difference in opinion about the power state getting discussed here. In t... moreMy earlier response was oversimplified version to explain the differences between how ARM and x86 processors are handled by Android core, and where we expect to see improvements. Obviously it's a lot more complicated than that, but it would make no sense getting into internal architecture differences between them on the high level post. 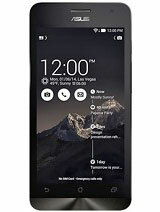 AnonD-303293, 07 Sep 2014If asus zenfone 5 with intel atom and android kitkat is good. 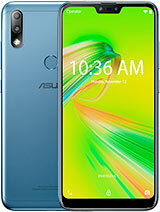 so I would buy asus zenfone 5. b... moreasus zenfone5 maybe better than motorola moto g. by the way i will buy this two phone someday. AnonD-279813, 06 Sep 2014KitKat has optimisation for the CPU included. This means that it can throttle the speed of the... moreIf asus zenfone 5 with intel atom and android kitkat is good. 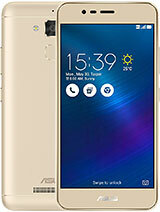 so I would buy asus zenfone 5. better than lg l80 dual and samsung galaxy core i8262 and sony xperia m dual. which is at the same price range. Not at all. But the battery could heat up. Be wise with your phone. I have a difference in opinion about the power state getting discussed here. In this processor we have power states C0 to C3 for various power states and P0(800Mz) to Pn(maximum being 1600Mzh) for the frequency state. But I guess the difference lies in the fact the in the power down mode,as a SoC,how much areas/peripherals you can shut down?Say in Intel being C3 you may have capability shutdown only 2 peripherals and being ARMV7,in the standby mode,your architecture can shutdown 5 peripherals which will be giving you extra power saying. And not facing any internal problem. 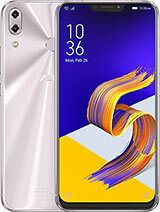 I bought zenfone 5 form retailer in kolkata. After using for 1 month my phone touch screen got small crack due to short.fall. But this should not happen as it has gorilla glass 3. AnonD-279813, 06 Sep 2014KitKat has optimisation for the CPU included. This means that it can throttle the speed of the... morethat's right. the standby processor at 800mhz. it will drain the battery. This phone is great, almost a week usage and yes the battery is not that good but it last a day for me since I'm busy with school. But I have some question guys do your Zenfone 5 can read and write Korean? And is it normal when my ZF5 is rooted already.. Mine is 1.13.40 can't do OTA eventhough it is T00J ver. Please help me to answer so I can ask help from the distributor.. thank you..